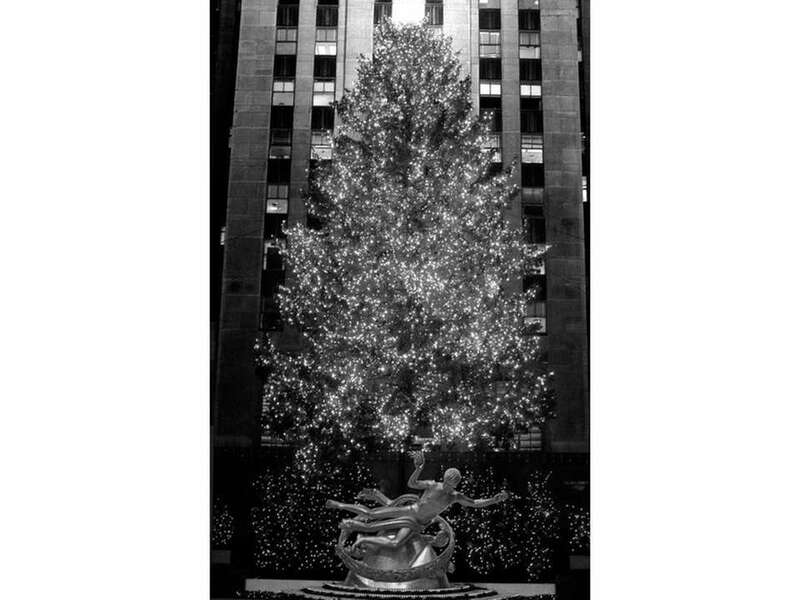 Each year, Rockefeller Center celebrates Christmas by displaying an enormous tree lavishly decorated with ornaments and lights, attracting tens of thousands of visitors to see it. The 2016 tree lighting was held on Wednesday, Nov. 30. Scroll down to see photos of the trees since the tradition began in 1931. The Rockefeller Center Christmas tree has been a New York City staple each holiday season since 1931. The Rockefeller Center Christmas tree seen in 1942. 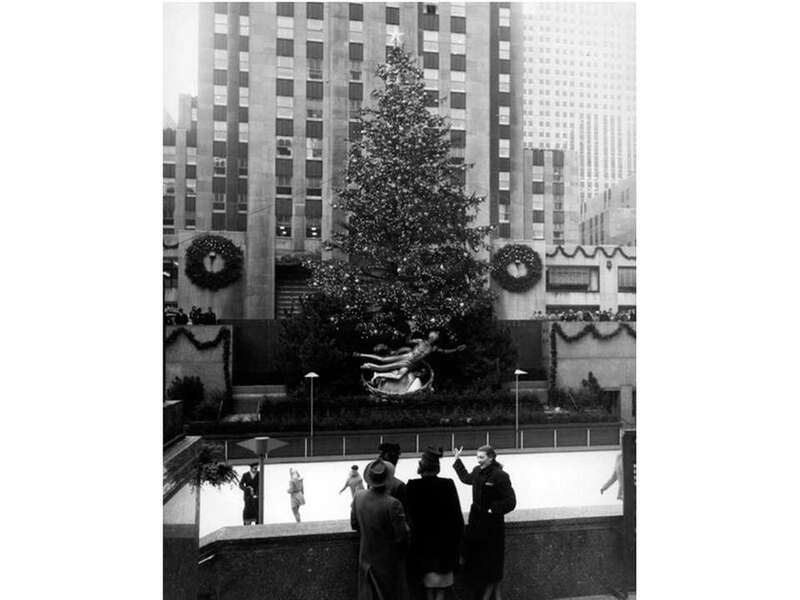 The Rockefeller Center Christmas tree seen in 1945. 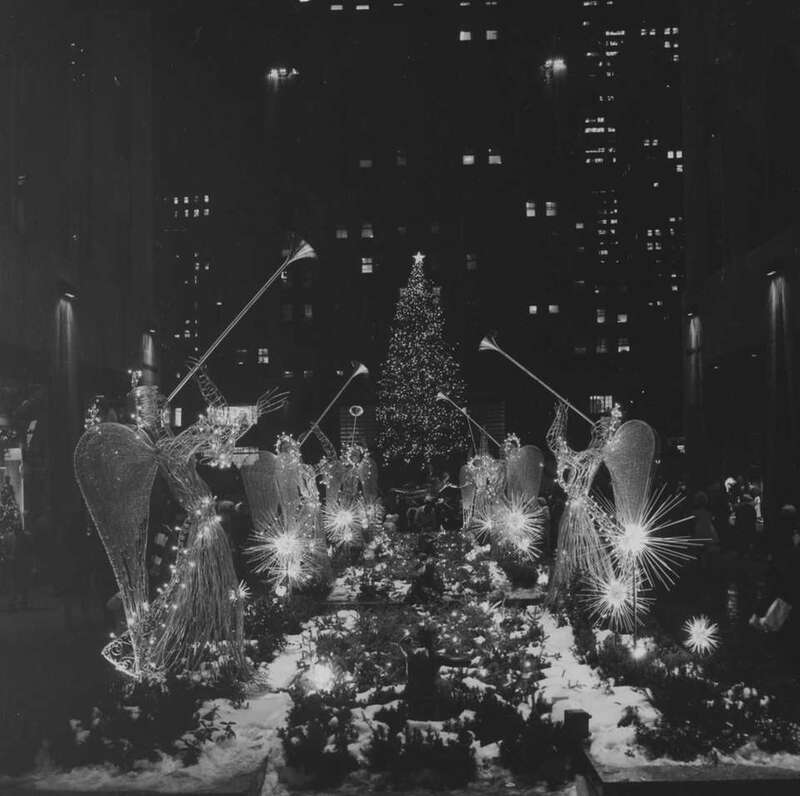 The Rockefeller Center Christmas tree seen in 1947. 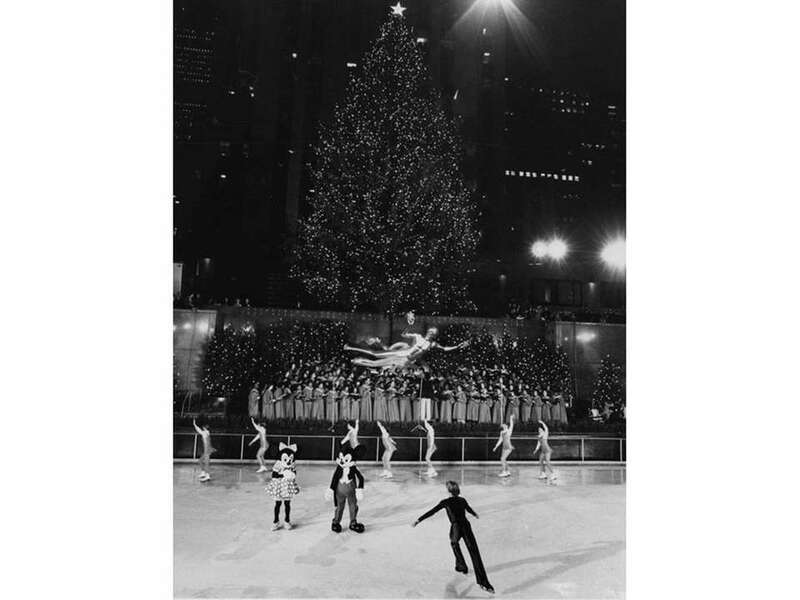 The Rockefeller Center Christmas tree seen in 1966. The Rockefeller Center Christmas tree seen in 1969. 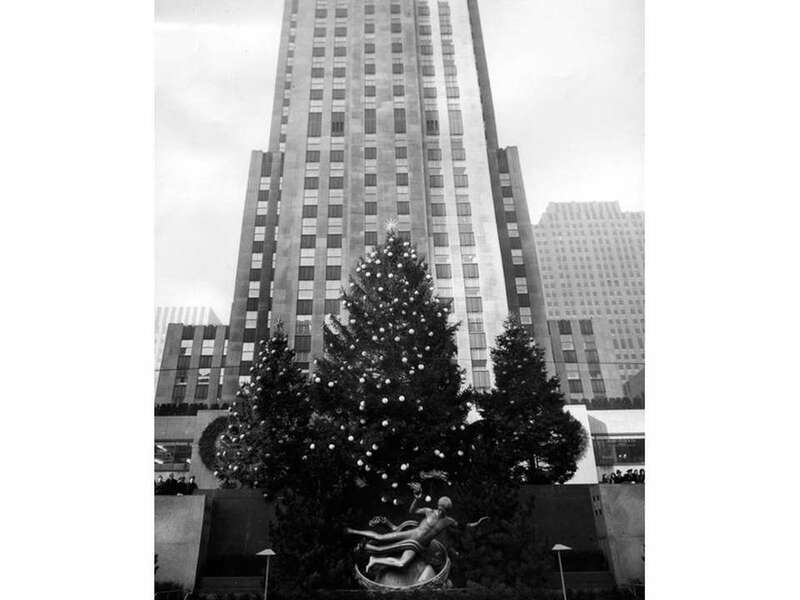 The Rockefeller Center Christmas tree seen in 1980. 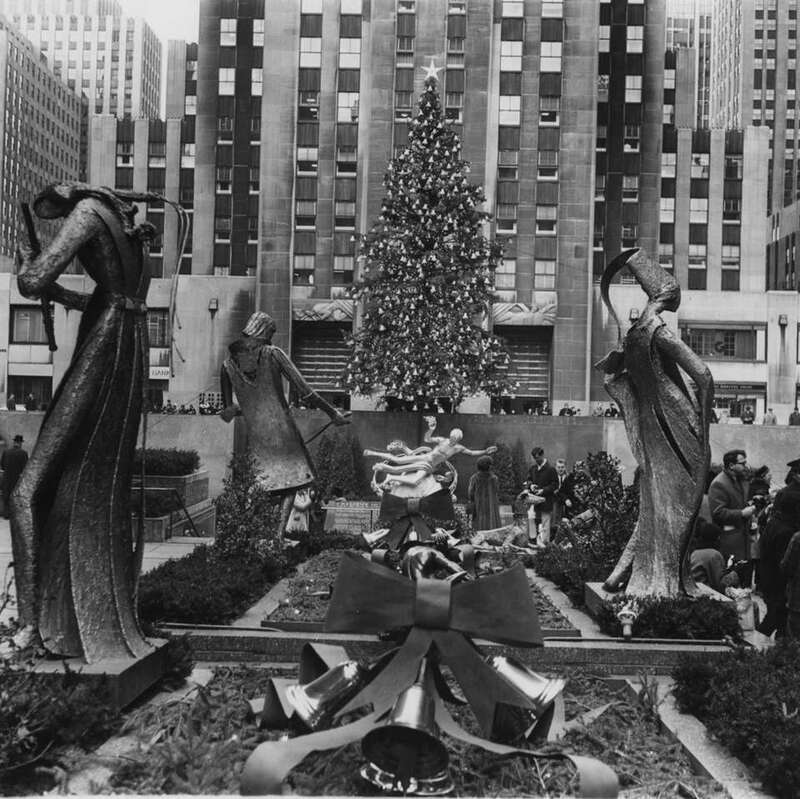 The Rockefeller Center Christmas tree seen in 1983. 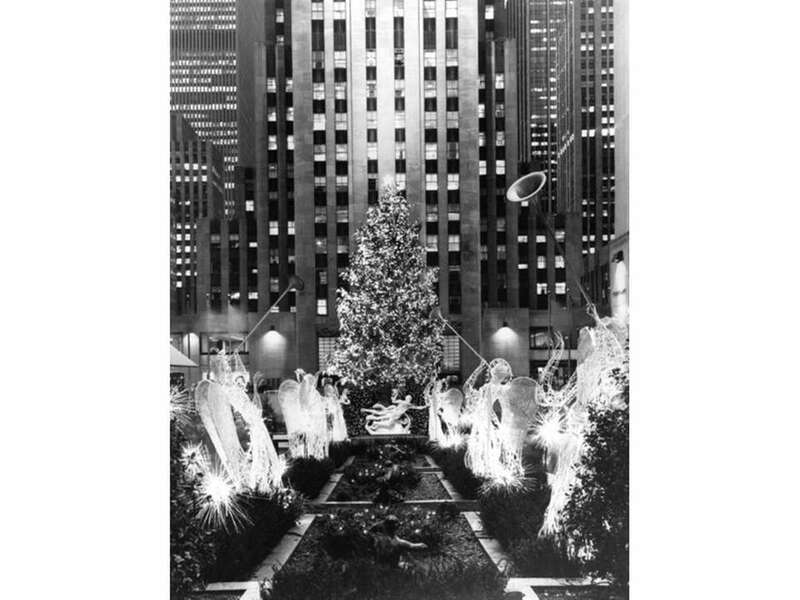 The Rockefeller Center Christmas tree seen in 1989. In 1997, the Rockefeller Center Christmas tree was 74 feet tall. The 73-foot Norway Spruce tree sits atop Rockefeller Plaza minutes after it was lit by first lady Hillary Clinton at the 66th annual tree lighting ceremony on Dec. 2, 1998. 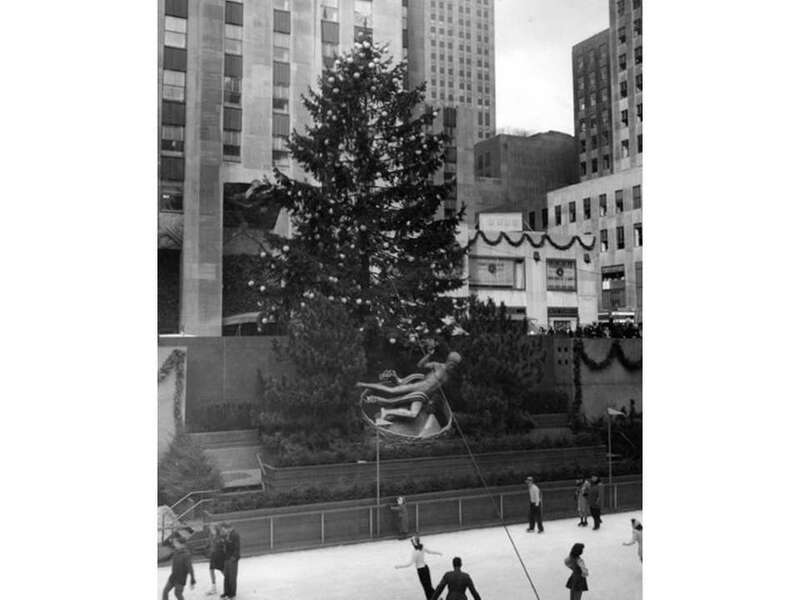 The 1999 Rockefeller Center Christmas tree was a 100-foot Norway spruce. The Rockefeller Center Christmas tree seen on Nov. 29, 2000. The 70-foot tall Rockefeller tree was illuminated in red, white and blue lights after it was lit by first lady Laura Bush and Mayor Rudolph Giuliani on Nov. 28, 2001 in the 69th annual tree-lighting ceremony. The Rockefeller Center Christmas tree was lit on Dec. 4, 2002. The 76-foot Norway spruce from Bloomsbury, New Jersey, was illuminated with 30,000 lights. The Rockefeller Center Christmas tree seen on Dec. 3, 2003. A Swarovski star with 25,000 crystals topped the Rockefeller Center Christmas tree in 2004. 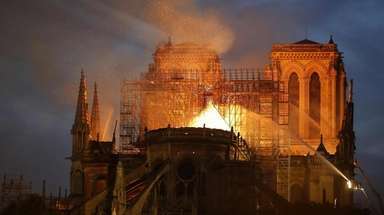 The star measured 9.5 feet in diameter and weighed 550 pounds. The Rockefeller Center Christmas tree seen in 2005. The Rockefeller Center Christmas tree seen in 2006. The 2007 Rockefeller Center Christmas tree was lit with 30,000 energy efficient LED lights. The 2008 Rockefeller Center Christmas tree came from Hamilton, New Jersey, and stood 72 feet tall. The Rockefeller Center Christmas tree in 2009. The Rockefeller Center Christmas tree on Nov. 30, 2010. The Rockefeller Center Christmas tree seen on Nov. 30, 2011. The Rockefeller Center Christmas tree seen on Nov. 28, 2012. The Rockefeller Center Christmas tree seen in 2013. The Rockefeller Center Christmas tree, lit on Dec. 3, 2014. Last year, the Rockefeller Center Christmas tree was lit on Dec. 2, 2015. The Rockefeller Center Christmas tree, lit on Nov. 30, 2016. Your crib sheet for this year's Rock Center treeThe tree lights up next week. An inside look at the Rock Center Christmas treeThis year's tree was donated by former NYC residents. The Rockefeller tree lighting will close these streetsIf you thought the tree lighting wouldn’t impact traffic in the area, you were wrong.